Dunk Your Boss, Co-Worker, Friends and Family! This amazing dunk tank is just what you need to turn your party from a boring basic event to a fun enjoyable time with friends and family. This massive dunk tank takes 500 gallons of water and must be set up on a flt surface. The dunk tank can be set up on Grass, concrete, and gravel. For set up please make sure for a 15' path to navigate the unit. 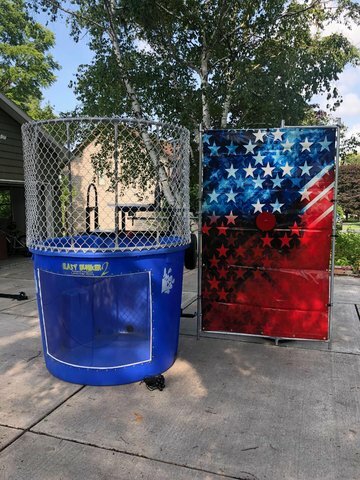 Dunk Tank Rental Price Includes Set up and take down included!